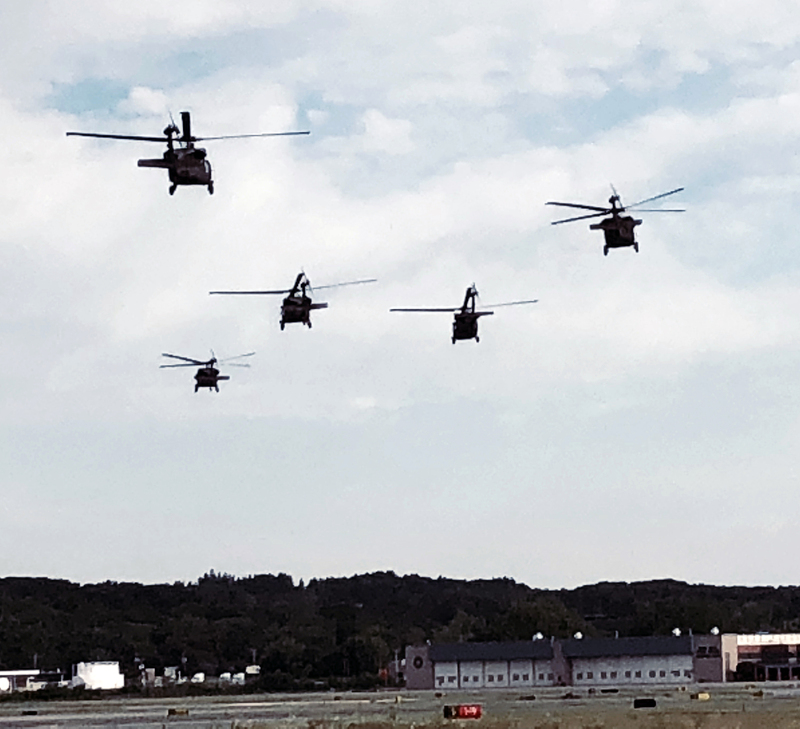 LATHAM--Five UH-60 Black Hawk helicopters from the 3rd Battalion 142nd Aviation leave Army Aviation Support Facility #3 in Latham heading for the National Training Center at Fort Irwin, California. Another five aircraft were flying west from Ronkonkoma as well. The aircraft and 70 aircrew will participate in an exercise being conducted by the 256th IBCT.